You've occupied a tab on their browser, used up a click of their mouse, devoured literally moments of their time. They want to know what they're getting in return, and they want to know fast. ♥ What makes you the right person to provide that product/service. ♥ That you are real, friendly, approachable human being. ♥ What the next step is for the reader to take. An MVW is a completely made-up term I've just coined. In lean start-ups, a Minimum Viable Product (MVP) is a basic prototype that enables a concept to become a business in super-speedy fashion. Instead of wallowing in the R&D phase for months on end, the creators release a product that pretty much does what the vision stipulated, but without the bells and whistles. And so to your MVW. Please believe me, I know from my own personal experience, how tempting it is to spend hours and hours farting about with the colours, graphics, layout, copy, blog posts and opt-ins on a website before bravely releasing it into the wild. This is a time-consuming, energy-sapping, money-deflecting form of self-sabotage. The cure? 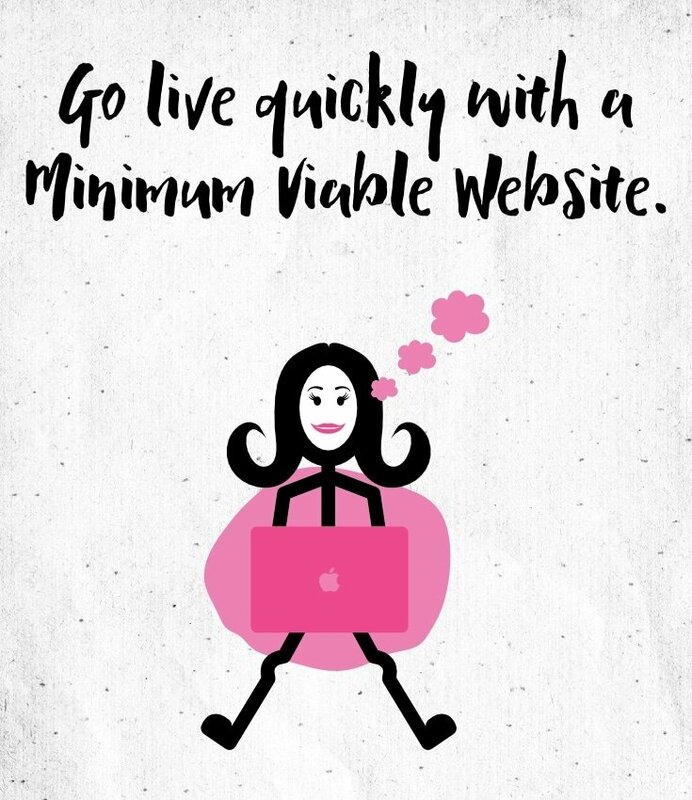 Commit yourself to creating a Minimum Viable Website. ♦ An About page that explains who you are, who you serve and why you are uniquely qualified to serve them. Include credibility indicators like skills, qualifications, and experience. ♦ A sales/services page that explains what your offer is and what your prospect needs to do to get the ball rolling. ♦ A form to capture email addresses of people who are interested in keeping in touch. You can add a lead magnet and email nuture sequence later. ♦ A clearly displayed email address for prospects to contact you on. 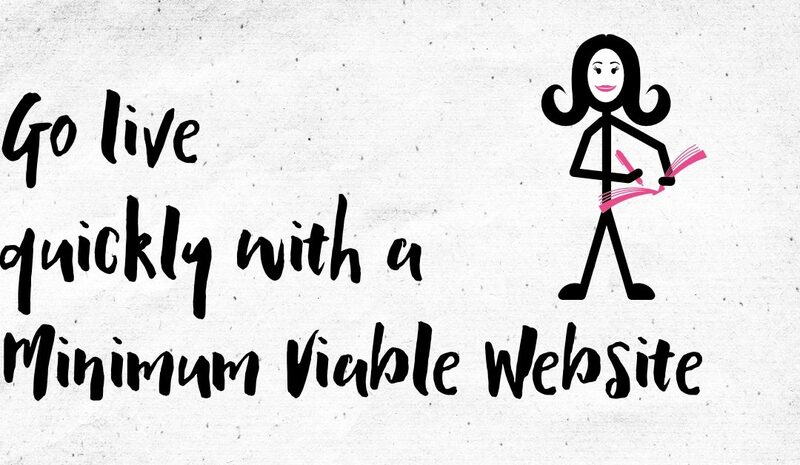 My vault is bursting with goodies that can help you write your web copy, communicate your offer, and get your MVW published. Go and plunder it for helpful free stuff right now. Every time I get a tweet, like, repin….any little nugget of affection, I do a little happy dance. Share the love by sharing this post using the buttons below. Cheers.